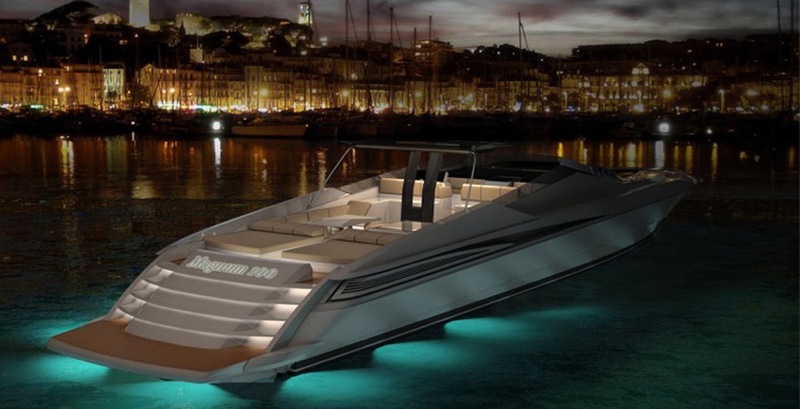 The new Magnum 100′ model, presented by Magnum Marine, will be Magnum’s largest yacht. The styling was designed by the talented young, Italian designer, Alberto Mancini, and offers a completely new concept of outdoor cockpit livability. The Magnum 100′ has different seating, dining and viewing areas, with an expandable top providing various and movable shaded areas. Technologically designed by Magnum to be eco friendly , Magnum emphasizes weight saving through the use of stronger and lighter materials. 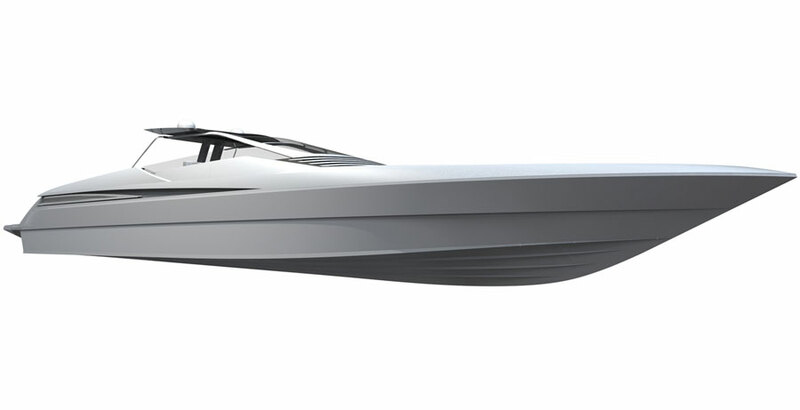 The vessel is built in advanced composite foams and carbon fiber, allowing critical HP to weight ratios to be met with lower power, thus saving more than 20% in weight compared to similar models; also making the vessel structure more rigid and more efficient. For less drag and therefore improved fuel consumption, Magnum installs surface drives which not only reduce consumption but also increase top speed. 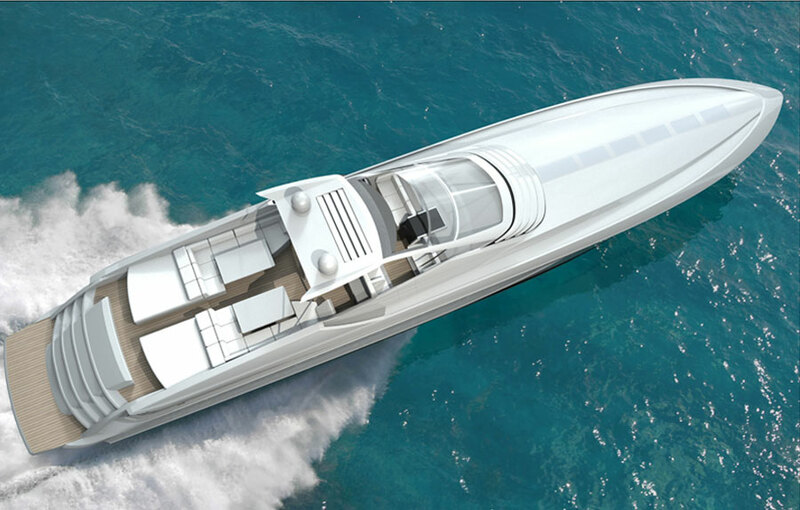 For slow speed operation, the new Magnum will have an electric “harbor” drive: an electric wing engine for slow speed operation, which runs virtually silent and smoke free. No noise and no more exhaust fumes. The Magnum designed Interior LED and fluorescent lighting will increase efficiency and decrease interior heat load. 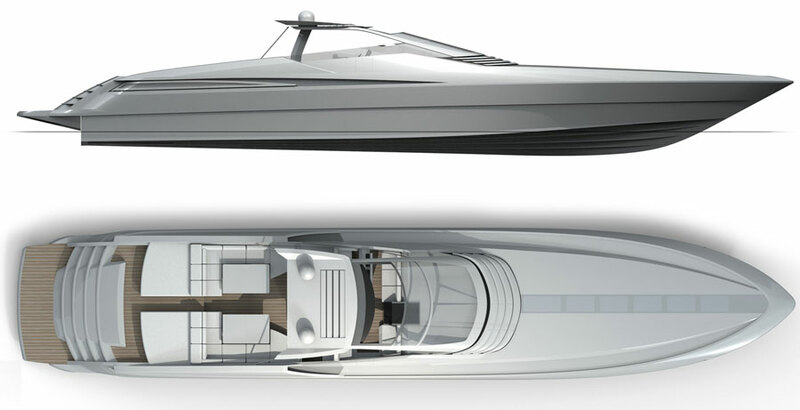 Interiors will be custom designed for her owner and include four double and very large staterooms, heads, reception and salon areas and of course comfortable crew cabins. 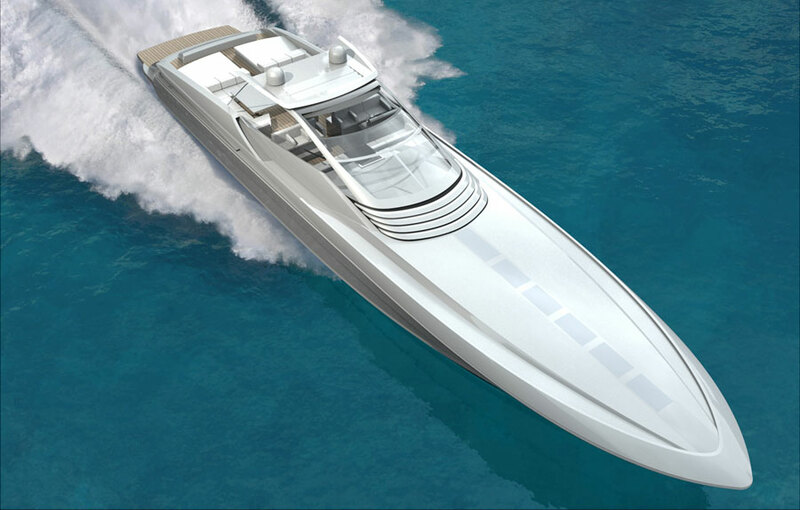 All has been designed to be the most environmentally friendly, the most comfortable, the most seaworthy and fast new yacht in the world.